Students learning Russian require more time for grammar than students of most other languages. Developing an adequate vocabulary presents an even greater challenge. But in vocabulary acquisition, students of Russian have an impressive potential advantage. With training, students can build a large vocabulary based on a relatively few very productive word elements – roots, prefixes, and suffixes. In Russian the 228 most common roots produce upwards of 20,000 words, an average of about 90 words per root! But English-speaking students are not accustomed to analyzing word elements as a way of discovering meaning and nuance. The English language does not condition the average speaker to think in terms of word elements. How many Americans could correctly answer the question "What does the root clude mean (include, exclude, conclude)?" But Russians do feel that kliuch- means something like "connect to. "Through combining this root with prefixes and suffixes, Russian forms 66 words! 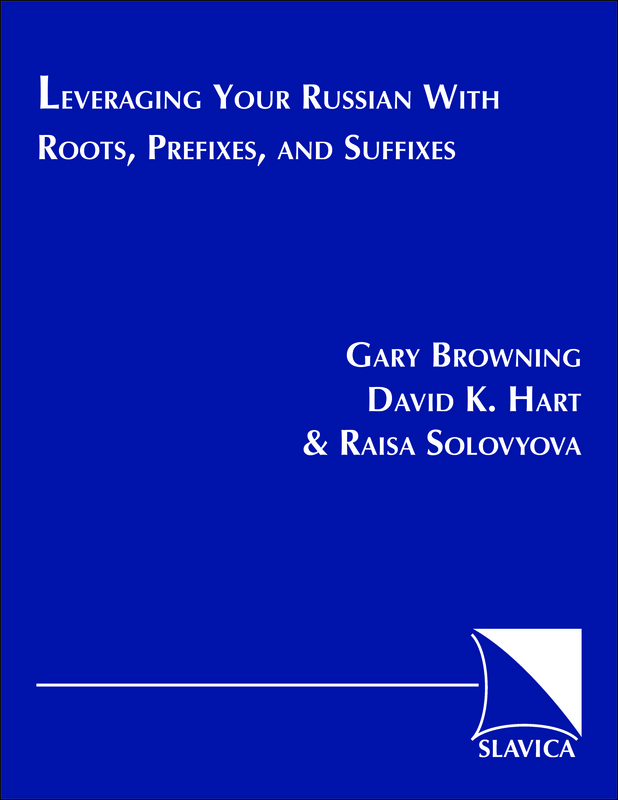 Leveraging Your Russian with Roots, Prefixes, and Suffixes focuses on root, prefix, and suffix study. The goal is to sensitize Russian learners to the vast potential of word element combinations in creating the large vocabulary generally lacking in students as they complete a liberal arts study of the language. Utilizing Leveraging, students will benefit as early as the latter part of first-year Russian, although most of the roots will be covered in the second and third years of Russian study. The authors of this text have divided the 550 most productive Russian roots into five groups according to difficulty. The core meaning of each root is identified and each root is illustrated, typically through from five to ten full, authentic Russian sentences, each of which is also translated into English. It is intended that the study of word elements mainly occur outside of class and take only a few minutes of class time for emphasis and review. Students at the upper levels, third-year through graduate study, may utilize Leveraging to study word elements on their own. In addition to the largest section of the text illustrating roots, prefixes, and suffixes, this book also includes an introduction to the assumptions, methodology, and content of the text. Another section compares nuances among semantically related roots, such as bereg (protect), shchim (shield), nas (provide security), smereg (on guard), khoron (preserve), and grad (block off). A further section outlines the etymological development of all the 550 roots from Indo-European into Russian and English. The final section of the text is a comprehensive root dictionary, useful for students reading authentic Russian materials and desiring to verify or expand their mastery of word element.